DARO Supports Project Knapsack Benefitting Youth Pen Pals Between Africa and the U.S. There were 696 press releases posted in the last 24 hours and 153,518 in the last 365 days. WASHINGTON, DC, UNITED STATES, November 7, 2018 /EINPresswire.com/ -- In supporting its community outreach and social responsibility missions, Daro Management announced today DARO’s support of Project Knapsack, a school supply and pen pal exchange between 25 students at the Francis C. Hammond Middle School in Alexandria, VA and student youth at public and private schools in South Africa. Project Knapsack partners elementary and secondary students in the United States with pen pals throughout Africa. Students on both continents each receive brand new backpacks outfitted with school supplies and educational materials. The Francis C. Hammond School was selected as the recipient for the project specifically for its commitment to empowering its diverse student population. More than ten languages are spoken at Hammond, and the school provides free lunches to all high-need students through the 805 reduced fee program. 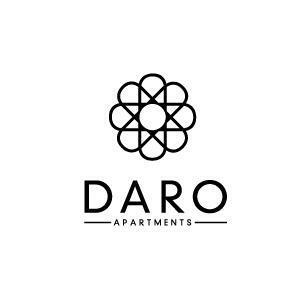 “We are thrilled to partner with Ms. Barry, Daro Management, and their entire philanthropic community. The students at Francis C. Hammond and our pen pals in South Africa will directly benefit from their kindness and generosity," said Porcha Dodson, Founder of Project Knapsack. The following companies are also actively contributing to Project Knapsack alongside DARO: Anderson Mechanical, Jones Lang LaSalle, Greenstein Delorme & Luchs, Welbourne Electric, Howard Insurance, and Ellisdale Construction.